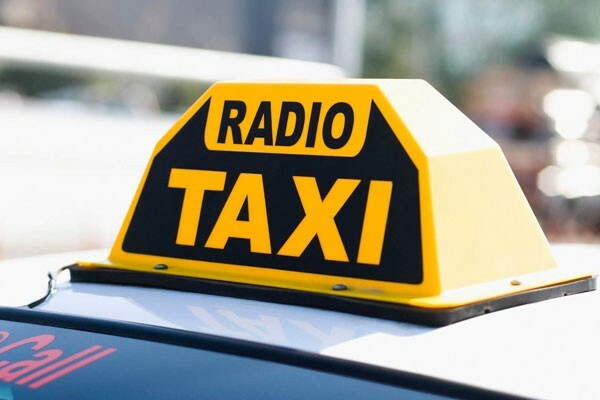 Radio Taxi has been in practice from last 70 years. It became very famous in London & New York. When a customer calls for a taxi, a trip is dispatched by either radio or computer, via an in-vehicle mobile data terminal, to the most suitable cab. The most suitable cab may either be the one closest to the pick-up address (often determined by GPS coordinates nowadays) or the one that was the first to book into the “zone” surrounding the pickup address. All taxi drivers have radio in cab where they can communicate with each other as well as with dispatcher. Radio taxi has been an alternative mode of transport for most of the towns where Public transport is suboptimal. Recently I started living in Charlottetown, PEI. I was very surprised there was no mobile application to book a cab. On very first day when we reached to Charlottetown in midnight we wanted to book a taxi. Security Guard at arrival told me that radio taxi will come & pick you up. First two radio taxis were not suitable enough to us because we were 3 and had 6 bags of luggage. After few minutes of juggling 3rd Radio Taxi was suitable for us. I continued taking radio taxi rides in Charlottetown, Summerside & other parts of Prince Edward Island. While doing this I talked with drivers, taxi dispatchers as well. After this experience I felt need of an technology advancement in Prince Edward Island specially for Radio Taxis. Here are 5 main reason Why Radio Taxi in Charlottetown , PEI should have mobile application ? Every Taxi booking request coming through phone call is passed to radio operator who then co-ordinate with drivers on same route. Just to identify who is nearby driver who can take taxi request so much of a hassle. Having Mobile application can make it seamless. Specially when most of travelers are now having UBER & LYFT experience. Radio Operator should learn programming & invest into technology which are going to be more helpful then only to stay taxi dispatcher for life time. This job position is not required at all. Also, unnecessary infrastructure of Radio communication gadgets. Passenger in Charlottetown PEI will be from all over the world as it is a tourist place. Radio taxi are not normal thing for all. Ride Hailing Applications are now new normal in world. Having Internet connectivity at public places, hotels etc makes easier for someone who does not have local sim card. There are many more passenger use cases to prefer mobile applications instead of radio taxis. Passenger Applications helps Fleet companies to earn extra revenues from Advertisement platforms. We recently developed a paid ads platform which helps Taxi Booking Drivers to earn extra revenue based on advertisements their passenger views. Ride sharing and Taxi Pooling are not convenient. What I saw in Charlottetown there were very few who were able to do ride sharing. Having Taxi booking app & Taxi Pooling feature can help authorities to optimize recourses, fuel consumption of the island & also can reduce pollution. These are my views , can be different from what people & authorities of Charlottetown things.